Doug was not born in a slum, nor was he homeless or raised by wolves. While that may make for a more inspirational story, it simply isn’t true. He did, however, win the Dale Carnegie Highest Achievement award as a high school student and was one of the youngest trainers for that organization. He graduated from Northwestern University with a B.S. in speech and a concentration in TV and film. Doug is an accomplished writer having contributed to the Chicago Tribune, Daily Herald, MSN Money, Yahoo Finance, the Seattle Times and has authored several best selling books. 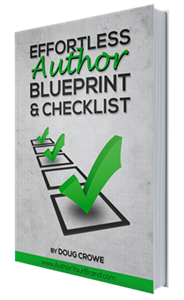 His flagship organization, Author Your Brand, works directly with clients who know they will benefit from being published authors, but have neither the time and/or skill to craft, publish and market a well-positioned book. Doug has personal connections with distribution and alliance partners internationally. In some cases, his clients benefit from not simply local, but international marketing as well. His team is especially proud to help authors become best sellers. To date, his team has created over 190 Amazon best sellers. Notably, his concierge service, RealBestSeller, creates an entire business platform from the book, helping authors get speaking gigs, market other products and be recognized as true influencers in their niche. Doug is a senior journalist with Newswire and will often call upon up and coming authors and popular bloggers as resources for his articles. An avid “NewsJacker” he seeks out professional and often contrarian opinion to compliment trending stories and topics. Doug has been featured in Bloomberg, CBS news, the Daily Cafe and dozens of radio stations. A former radio host himself on ABC radio in Chicago, Doug had the first real estate radio program in Chicago. After 2 years on WIND, AM 560, Doug and his team created “The Real Estate Coach” program on ABC radio in Chicago (WLS). His kindle book, 7 Secrets of Broadcast Radio Excellence is a concise tutorial for entrepreneurs seeking mass distribution on the airwaves. Some of these sources are available on his resource page. Click here for free goodies! While Doug has amassed a lifetime of experience and success as an author, speaker and media insider, he knows the power of a associating with a world class team. From producing & publishing best-selling books, marketing on the largest infomercial network in the country or producing blockbuster Hollywood movies, Doug’s team has done it all and continues to excel with every client and joint venture they align themselves with. He is an avid scuba diver, instrument-rated private pilot, photographer, magician and father of three. Always on the look out for new talent and opportunities, contact him today!